The process is fairly simple. Begin like you would to make the simple white ones, cutting out the amount you need with the scalloped edges. In a large cup or bowl, mix a small amount of craft paint with a cup of water. The more paint, the more vibrant they will be. I used a couple small squirts for each color, mix it up. Take each filter, crumple it up, and stick in in the water/paint mixture. You can put a whole several in at a time and let them soak for a few minutes. Again, the longer they soak, the more vibrant they will be. Lay them out on some paper towels and let them dry. Continue making your flowers as normal. And that's it! Now you have lovely colored coffee filter flowers to go with your white ones! 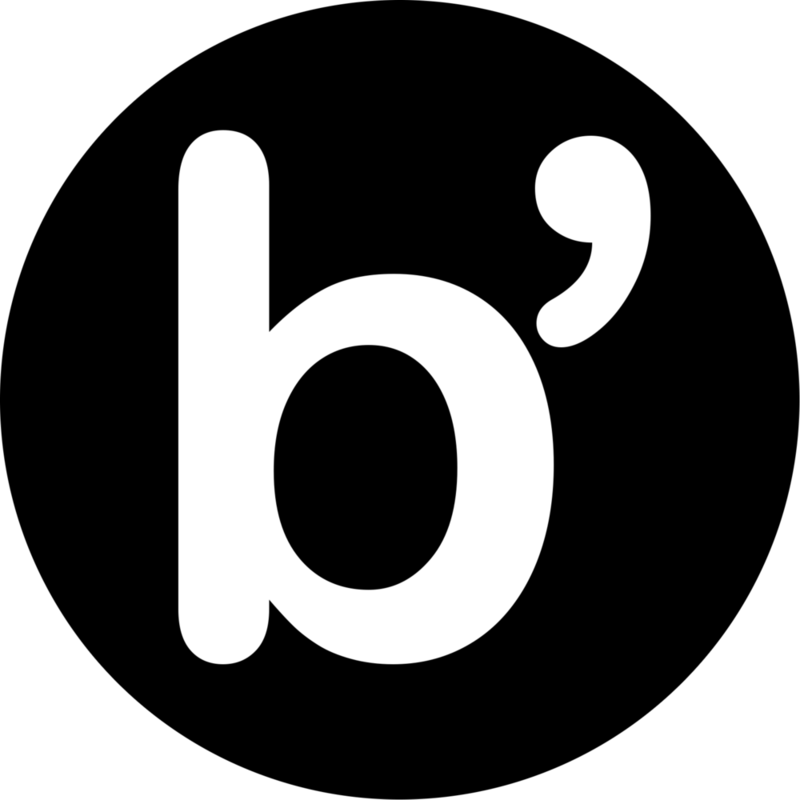 Isn't Pinterest the most glorious thing the Internet has to offer? I think so. 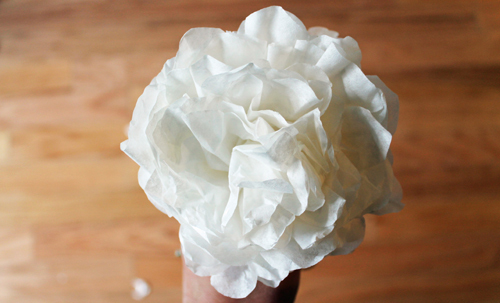 I found this little walk through on making peonies from coffee filters, thought it was neato and pinned it away for a rainy day when I was looking for a DIY project to fill my time with. Then, when we were moving, T found a pack of like 200 coffee filters he threw into a box when he moved out of his old apartment. I remembered this pin and BAM, a cute little project happened. These are amazingly easy, like if Abbey had opposable thumbs, she might have been able to make them. So this is what you do: grab some coffee filters, floral tape, covered floral wire, scissors, and some glue (you can probably use any kind, I used ModPodge). 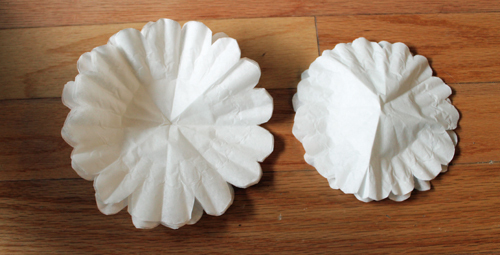 You need five coffee filters that are bigger, and five smaller. I cut about a 1/4 inch all the way around five of my filters. Now the folding. With two or three of the filters, four in half four times. 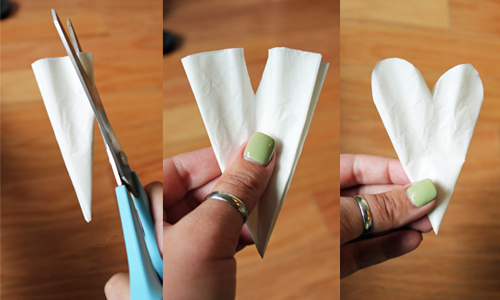 Cut the main folded corner off, then open once and round out the tops so you have a little heart. Repeat the folding and cutting with all 10 of the filters. With your floral wire, make a little loop on one end and dip in some glue. Take one of the smaller filters, push through the non-looped end of the wire and shimmy all the way up to the loop. Start pinching and twisting the filter around the wire loop. Work your way around it wire until the whole thing is tight around the loop. Tight is good. Now, maybe you're like me and didn't know that floral tape is icky sticky and googled "why is this floral tape so sticky?" Maybe you now think I'm an idiot. But if you don't know floral tape is sticky everywhere and will make your fingers very sticky and slimy, don't panic. Take said floral tape and tape the pinched filter part by wrapping it around and around, working down a bit onto the wire. The trick is to wrap it really really tight and overlapping itself so it sticks to itself. It takes a bit of practice. Some of mine were lumpier than others but your are going to cover it up anyway. Now you're going to do the same thing with the larger filters. Poke through, twist and pinch, one at a time. Now it's probably starting to look like a flower, exciting right? You're going to have to manhandle that flower by grabbing it, wire to the right, and wrapping it again in the floral tape. 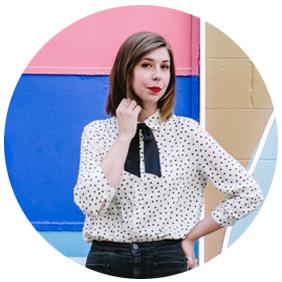 This time, work you're way all the way down the wire. I had really long wire so I wrapped until I wanted to stop and cut the wire. Now you have a flower! Ruffle it up a bit to fan it out and you're done! Just make 4-5-6 more... You get better with practice. I would to try dying this to get some colored one too. But for right now, I'm pretty obsessed with how simple and pretty they look.